We are the prominent company that is engaged in manufacturing high quality range of Pharma Product Card. 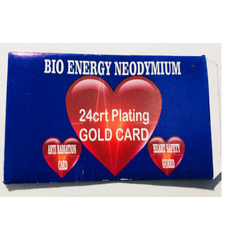 Bio Energy Card is specially launched in order to heal your body. 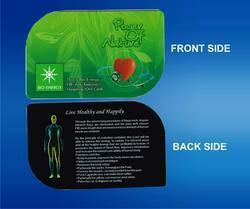 The Far infrared rays (FIR) present in Bio Energy card have a high tendency to heal your body. This card is very helpful to provide you a relief from stress, anxiety and fatigue. It also helps in improving blood circulation and vitality. - Anti Radiation Bio Energy card is considered to be beneficial for most medical and psychological problems.